Product Detail: Moving Within The Circle, 2nd Ed. In the fifteen years since the release of the first edition of Moving Within The Circle, Burton - himself part Choctaw - has continued his exploration of contemporary Native American music, adding a wealth of material to an already impressive collection of traditional and recently created music. The 36 songs and dances in this edition are in active use in Native communities and were taught directly to the author by members of the Apache, Haliwa-Saponi, Lakota, Oneida, Seneca, and Zuni tribes, to name just a few. Selections for guided listening were contributed by numerous well-known contemporary recording artists. 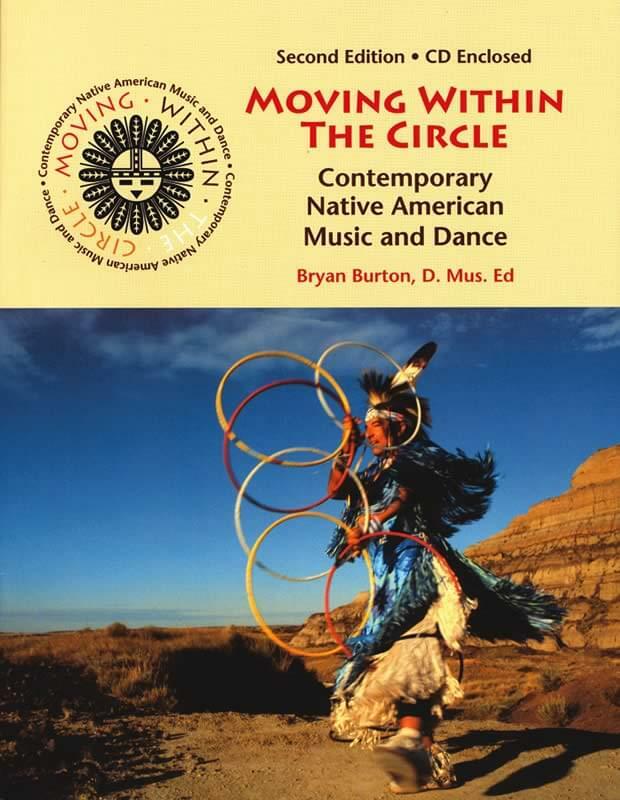 Moving Within The Circle offers a unique opportunity for educators to experience a wide variety of styles and genres ranging from traditional cedar flute melodies to a concert recording of a hard-driving rock anthem. The optional set of 20 full color slides with teacher's guide includes photos of the countryside, pow-wows, instruments, and individuals.